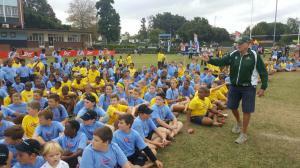 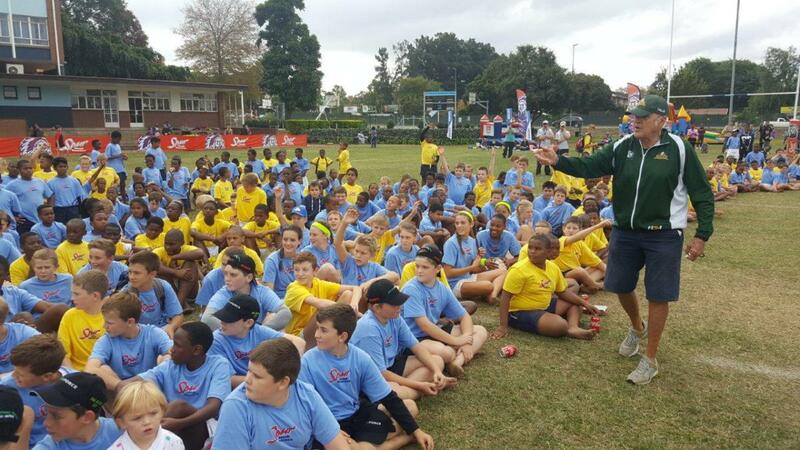 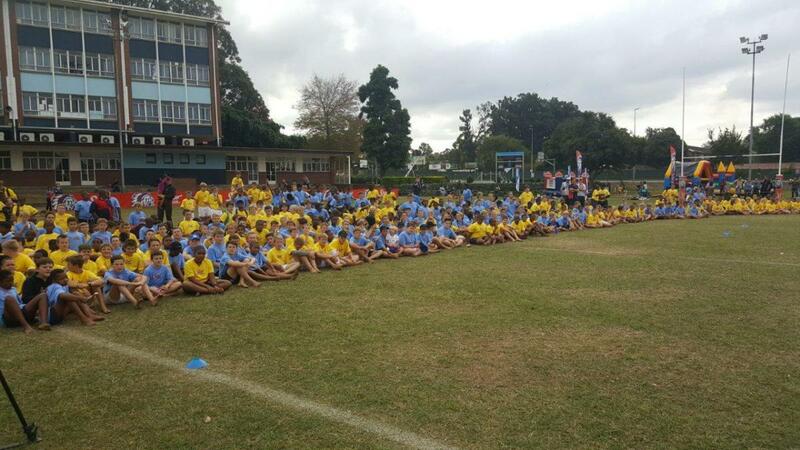 With over 500 young players present at this year’s Spur TAG Rugby Festival at Merchiston Preparatory, our Rugby Legends had their work cut out for them in sharing their skills and knowledge at the rugby clinic, which is always a highlight of the Festival, the biggest of it’s kind on the continent. 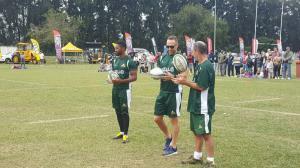 This year, the youngsters learnt from two of the fittest and fastest former Springboks around, Tonderai Chavhanga and Stefan Terblanche, joined by former Sharks scrumhalf Hentie Martens, and led by coach Ian McIntosh. 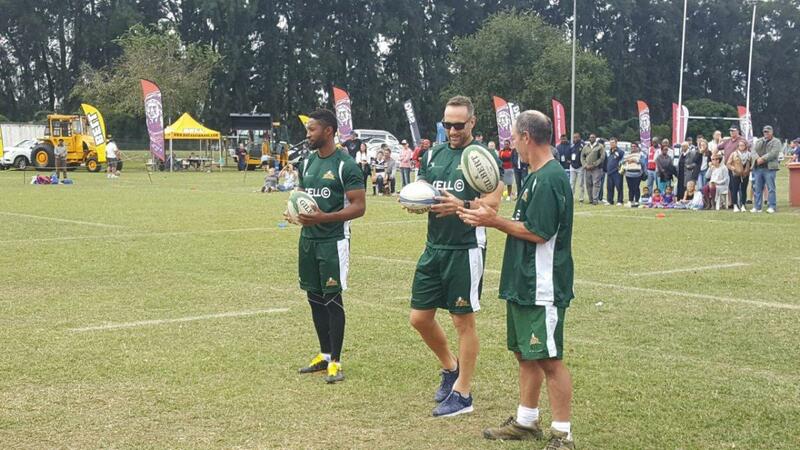 After the informative drills session, the Legends then participated in a TAG rugby match against a team of Boarder Masters from Merchiston, taking the keenly contested match 5 – 4. 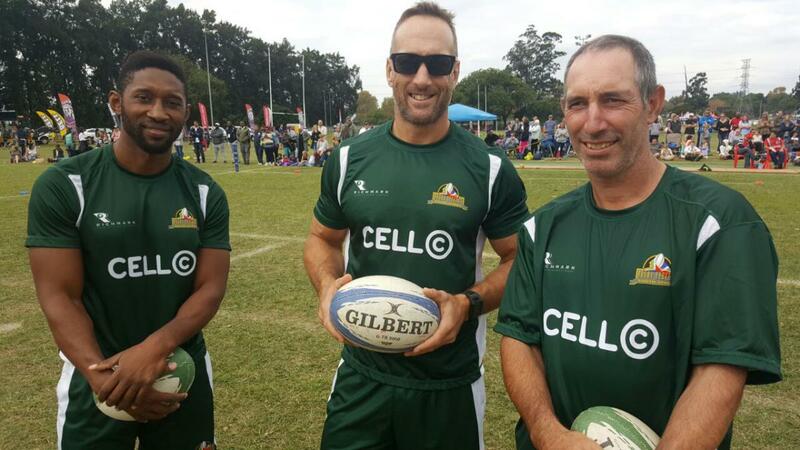 The Legends then spent time watching some of our future Legends in action and happily posing for pics and signing autographs. 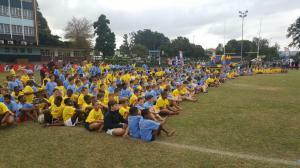 Congratulations to Merchiston Prep for, not just another successful TAG Rugby festival, but on celebrating their 125th Anniversary, a KZN primary school with a proud tradition and rich rugby heritage, with the likes of World Cup winner Butch James and Natal and Springbok centre Jeremy Thomson as former pupils of the school.